The show, which will be broadcast on BBC Two in May, will focus on five critical years of his career - 1971, 1975, 1977, 1980 and 1983 - before looking at his latest album, The Next Day, which is due for release in March. It will feature never-before broadcast footage of Bowie in the studio, on tour, and in interviews. The programme, described as an "in-depth and revealing take" on the star, will feature interviews with musicians who have worked with him in the past and on his latest album and has a working title of Five Years. BBC Two controller Janice Hadlow said: "I'm thrilled to be bringing this film to BBC Two; David Bowie - Five Years promises to be a revealing look at the life and career of one of the modern era's most influential and innovative performers." Its director Francis Whately, director, says: "This is a project that has been in development for more than a decade, in fact since Bowie and I worked together in 2001 on a film for the BBC Omnibus strand. This year, 2013, is shaping up to be the year of David Bowie, and now is the perfect moment for this feature length film devoted to this extraordinary artist." 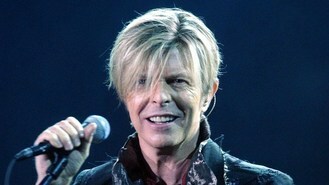 Earlier this year, Bowie broke years of silence and speculation to release his first new single in a decade. The star, who shot to fame in the late 1960s with Space Oddity, surprised fans by suddenly releasing a new recording, Where Are We Now?, on his 66th birthday. The track appeared on iTunes at 5am with an accompanying atmospheric video premiering on his website.